I will not lie, I do love a bit of browsing and shopping on a Saturday, but today we’ve put together a guide to our favorite Paris themed wedding favors available online, so you can shop for your French style wedding from the comfort of your own home. I had so much fun putting this post together, there really are so many options available for Paris themed wedding accessories, but here are my top 10! And don’t forget inspiration for Paris weddings here. These favors come in packs of 3 and are available from The Joyful Home. These scented bundles make a sweet gift with a touch of French, vintage Paris charm. A gift from the gracious host to dear friends at a French themed wedding, or any event. For bridal & baby showers, birthdays, Mother’s Day, teachers or beloved wedding party–or just because. The cookies come in a package of 1 dozen. 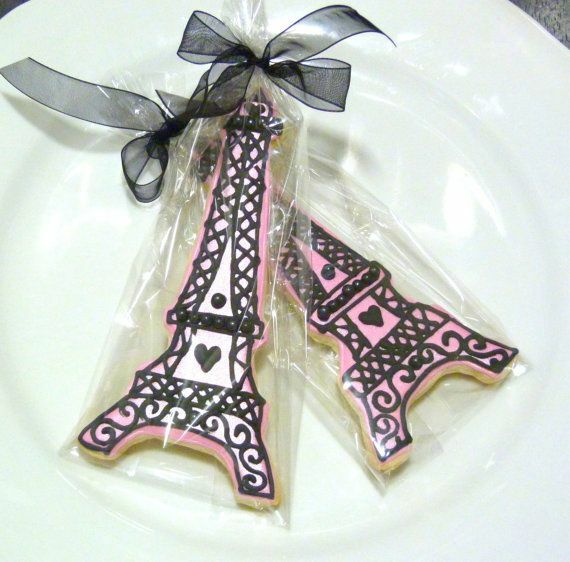 These Paris Theme Cookie is perfect for as Wedding Cookie, Bridal Shower Cookie, Romantic Cookie, Elegant Cookie. These would also be wonderful for Valentine’s Day! These Custom cookie favors are very elegant looking! They are flooded in the color of your choice. Once they are dry, they are airbrushed with pear sheen to give them a shimmery appearance and finished with black piping and black edible sugar pearls for an extra elegant twist! This has a dual purpose as it doubles as a favor and place card stand, one that your guests can take hope at the end of the big day. Eiffel Tower romantique wedding, party & event decor. 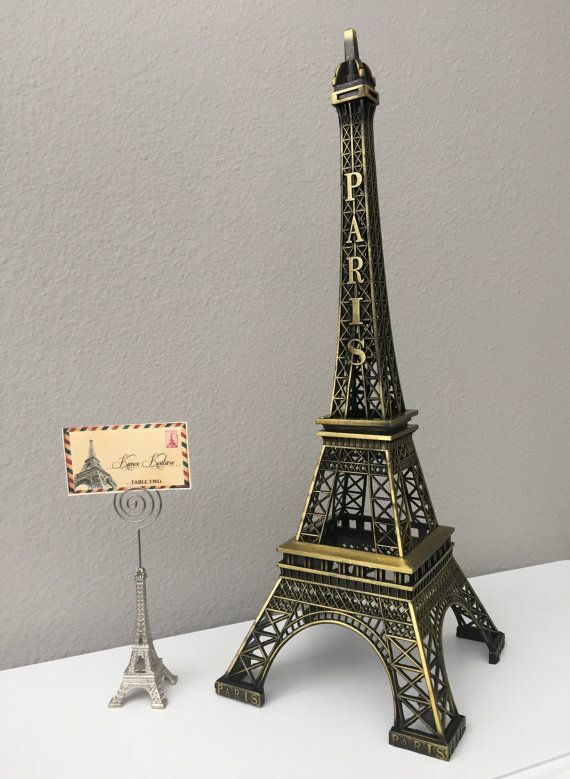 The magnifique design of these french inspired Eiffel Towers are sure to be eye catching at your Paris themed soirée wedding or party. A great keepsake wedding favor your guests can take home and cherish forever! 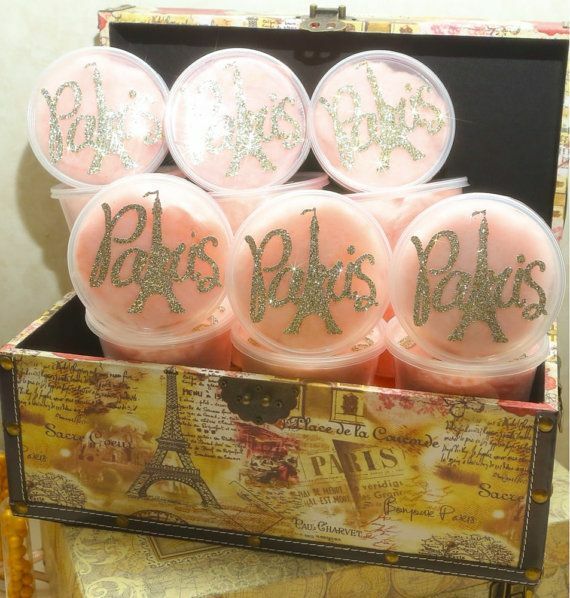 Super fun and maybe one just for the kids Paris themed cotton candy tubs. 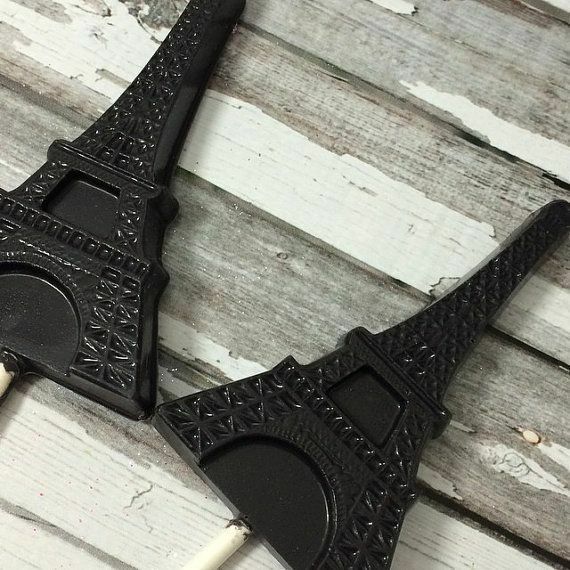 These fancy Paris themes favors will be a huge hit at any event. You can have then at a wedding, bridal shower, baby shower, or any other event. You will also need to think about the carrier or bag for your favors or thank you gifts, and love this cute bag that reminds me of Provence. 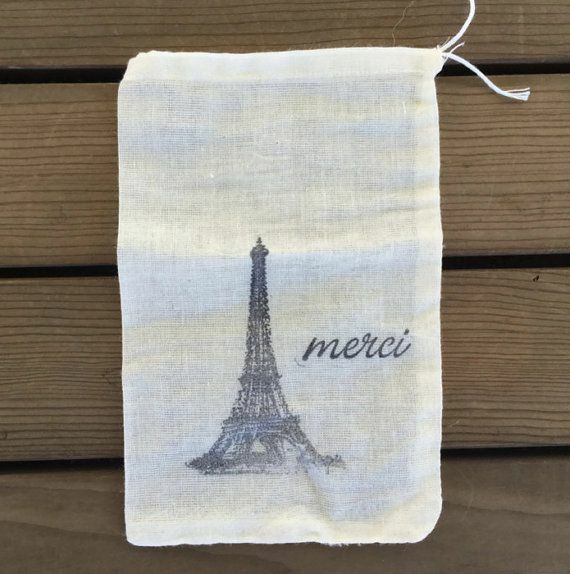 These 4″ by 6″ muslin bags are hand stamped with an Eiffel tower and “Merci.” A fabulous way to thank your guests for coming to your wedding! Fill them up with small favors, add them to a welcome or out of town bag, fill them with necessities like band aids, pain killers, etc. They also make great candy buffet bags as they are food safe! If you are doing a wedding guest welcome bag or bridal shower bag, the sweet treats always go down really well and why not include a chic chocolate Eiffel Tower. ” These lollipops are sure to add the special touch that you are looking for!! I can add luster dust to these to really add some shimmer. These towers measure over 4 inches tall!!! Need more than 12…no problem…no order is to small or large!! Each lollipop is placed in a cello baggie and tied with ribbon! I for one can never have enough candles! 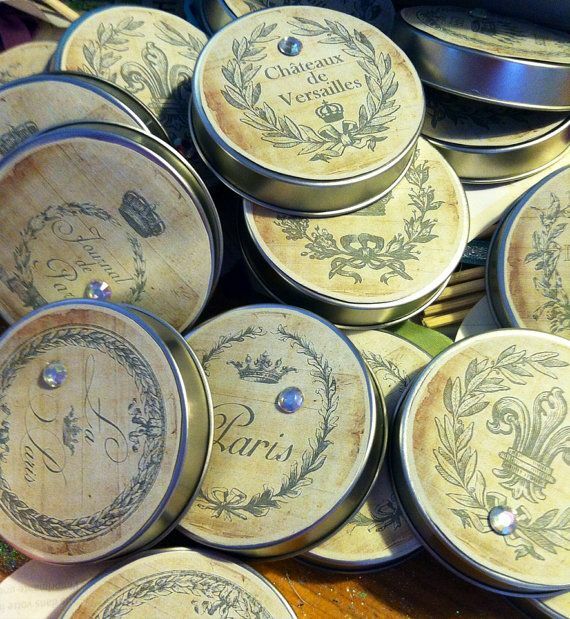 The labels have a shabby chic vintage look with Paris places and phrases most have wreaths of laurel or bay leaves with ribbons and some with crowns, there are 12 different images. 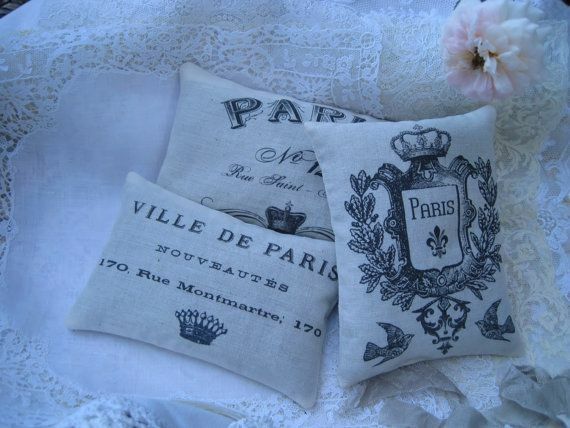 How could I compile a list of Paris themed wedding favors without including macarons. 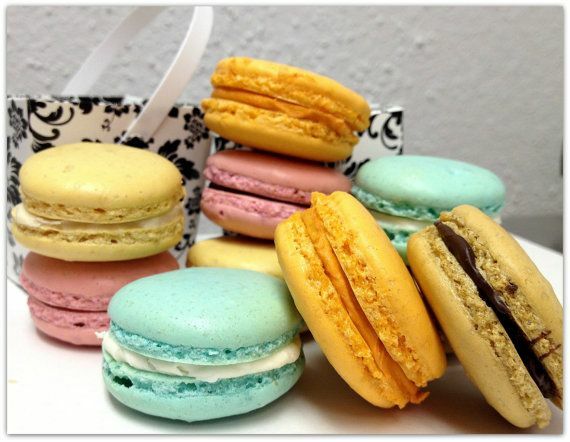 There are one dozen 1 1/4″ round French macaron cookies in each order. A popular Parisian confection. Adorable, yet sophisticated wedding favors. French Macarons have two thin, crisp, ‘melt-in-your-mouth’ meringue shells that are filled with ganache, jam or butter cream. 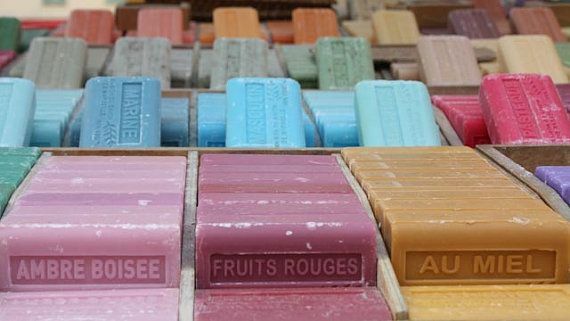 The quality of French soap is just sublime and would make a wonderful favor, think of wrapping it in some brown paper with lace for a rustic look. These come in a range of colors, perfect for coordinating with your wedding theme. Finishing on a tasty treat with French inspired gourmet marshmellows. Melt in your Mouth, Fluffy, Vanilla Homemade Gourmet Marshmallows! 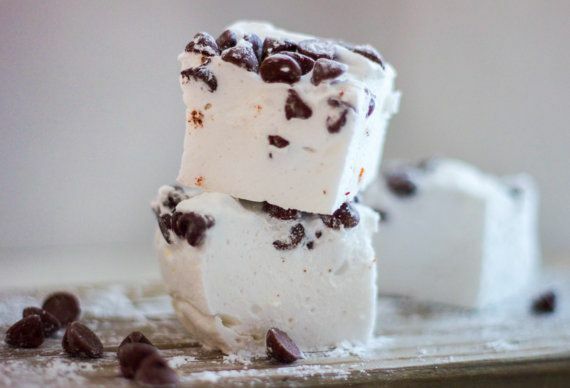 If you have never had a handcrafted Marshmallow—you are in for a treat! 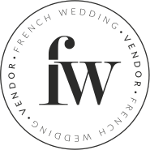 I hope you had fun shopping for your Paris themed wedding favors and don’t forget you can find plenty more wedding favor inspiration over on our Pinterest board here.